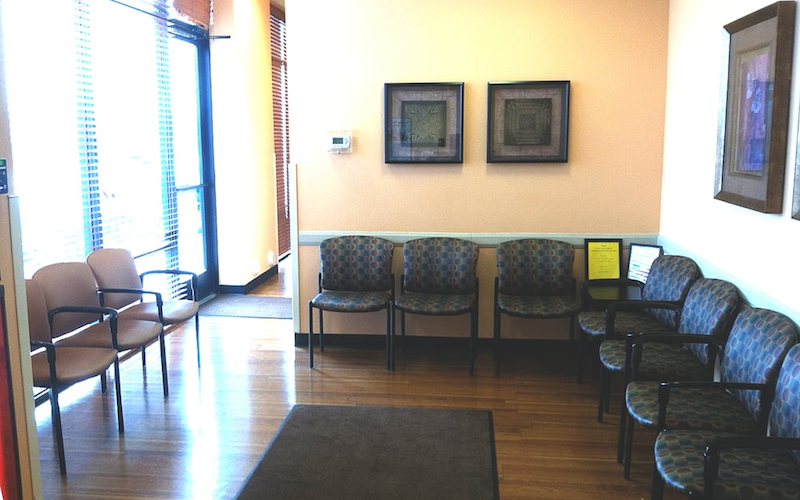 As part of the larger NextCare Urgent Care, this clinic has affiliates with the closest other clinic being in Mesa about 6.0 miles away and is open today from 8:00am to 8:00pm. Recognized favorably amongst their patients, NextCare Urgent Care, Mesa (N Power Rd) has an average rating of 4.7 stars out of 5 based on 1974 total ratings. In fact, recent patients have frequently used words such as "bedside manner" to describe their experience at the clinic. Certainly not terms you hear about healthcare providers too frequently! All of the staff was wonderful. I didn't feel rushed out the door. Time was taken to explain my injury and how to properly take care of it. Pa was great easy to talk to and showed genuine interest in my problem overall experience was excellent. JD Michels PA-C is a wonderful listener! Very understanding and very thorough. Best “bedside manners “ than I have seen in a long time including all of my speciality doctors. He really cared that I was feeling better before I left the office. ( ie: breathing treatment) Being a retired nurse if I was still working I would wish to work with him! He is the “total care giver package” for a urgent care setting!! I would recommend him to anyone I know who needs care when our pcp’s are out of the office! Five gold stars for JD ! He rocks!! Also, the front office and back office support staff did well in my care. JD gave 100% attention to what I had to say! A woman doesn’t always get that kind of respect from medical personnel upon meeting for the first time visit. I sure hope that he sticks around! With that said I hope his supervisor(s) take what I have said to heart especially when it’s time for his yearly review !! Thank you JD Michels! JD is great, we’ve seen him a few times. Very knowledgeable, answered all my questions, took time with my daughter and asked her questions. Thank you! Everyone in this office was friendly and professional and I was comfortable and pleased with their service. My favorite urgent care. Signing in online is easy. Wait time is typically nominal and care is always great! Great facility, friendly & helpful staff. In and out pretty quickly as I made an appointment. Whoo for 12:30pm. Arrived at 12:15pm. Had walk in go ahead of me. Saw PA at 1:15pm Calling ahead not working as advertised. Checked in at my appointment time, was seen quickly by the PA. In and out within 30 minutes to pick up my script. Very efficient. The staff were nice and efficient. But Had a wait of an hour after my appointment time. They were down to 1 PA. Thought the PA who saw me was very knowledgeable and explained things well. Was a mix up on script but that got corrected in a timely manner. I always receive excellent care when I go in. The staff is wonderful,cordial, helpful, and professional. I am treated with the upmost respect when I go in to receive care.